In the late Spring, freshly bitten-off young branches rain down from the trees. In the late Fall, it happens again, but less intensely. Squirrels are the obvious culprit. But the chewed-off branches show no sign of having been eaten, even partially. Why do the squirrels do it? Why the frenzied activity? In the Spring and Fall, new litters of baby squirrels are born. 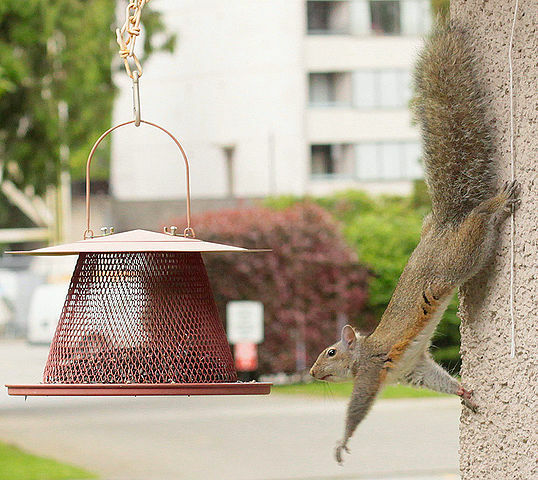 By the late Spring and Fall, the new squirrels are developing rapidly. 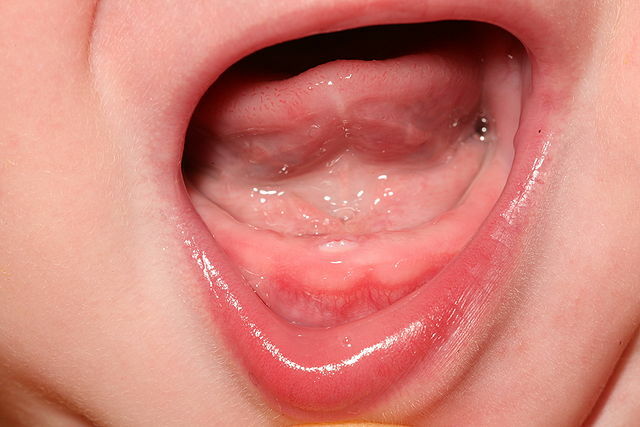 When a human baby’s teeth start to develop and push out through the gums, the baby teethes. The baby gnaws on anything handy, to try to quell the soreness of its gums. Are the baby squirrels teething? You can help answer this question. If your home or your office has a window that looks at the branches of trees, see whether only the young squirrels are gnawing off the branches. Comment to this post, to say what you have noticed. Also, do squirrels ever gnaw the young branches of an evergreen when a deciduous tree is available? We have never found a gnawed-off evergreen branch, but all the trees near our house are deciduous. Maybe the young branches of an evergreen taste too bitter, so that a deciduous tree will be preferred over an evergreen wherever both are available. It is easy to imagine a baby fish or alligator being born with tiny teeth. The fish and the alligator do not depend on milk direct from their mother’s body. But a baby mammal must be born toothless. Otherwise its mother would not allow it to drink from her. In fact, the age when teeth first develop probably marks the age at which babies in the wild stop drinking their mother’s milk. But these are mere guesses. I have no knowledge on those topics. If you know more, please comment. 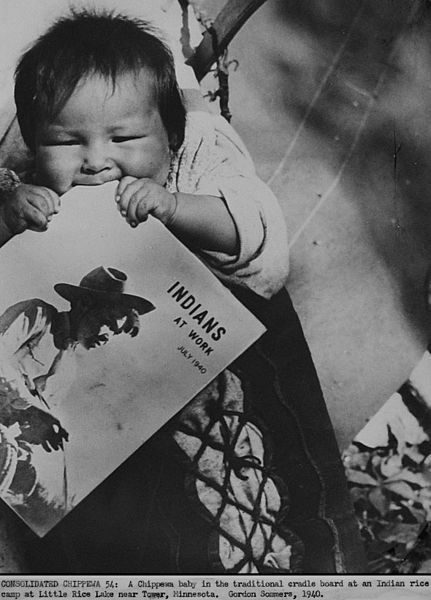 Original typed period caption: CONSOLIDATED CHIPPEWA 54: A Chippewa baby in the traditional cradle board at Indian rice camp at Little Rice Lake near Tower, Minnesota. Gordon Sommers, 1940.